According to The Hostapedia by Mark Zilis (2009), this cultivar was "...registered with parentage unknown...but certainly a self-pollinated seedling of H. 'Elegans'." It was registered by Larry Englerth of Michigan in 1982. 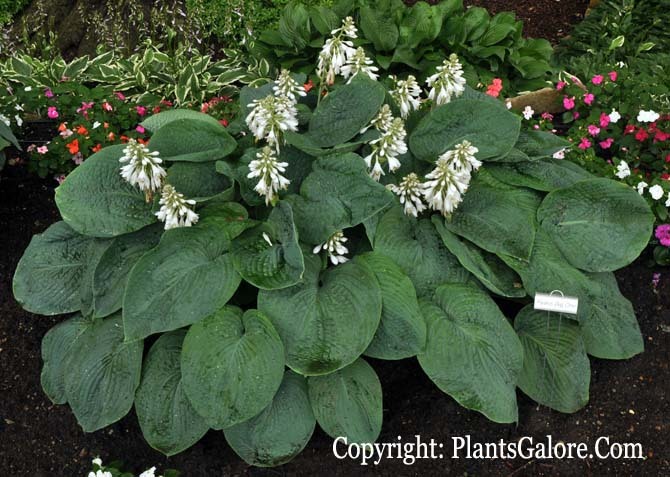 Forming a large size (28 inches high) mound of thick, heavily corrugated foliage, it has a thick under leaf bloom. Dense clusters of near white flowers bloom from mid-June into July. Zilis continues, "I think of 'Ryan's Big One' as the "typical" H. 'Elegans'. All of its foliage and flowering habits match what 'Elegans' should be...When propagated by tissue culture, it sometimes remains in a "super-juvenile" state. In this condition, the foliage retains a very shiny, dark green color and small size." 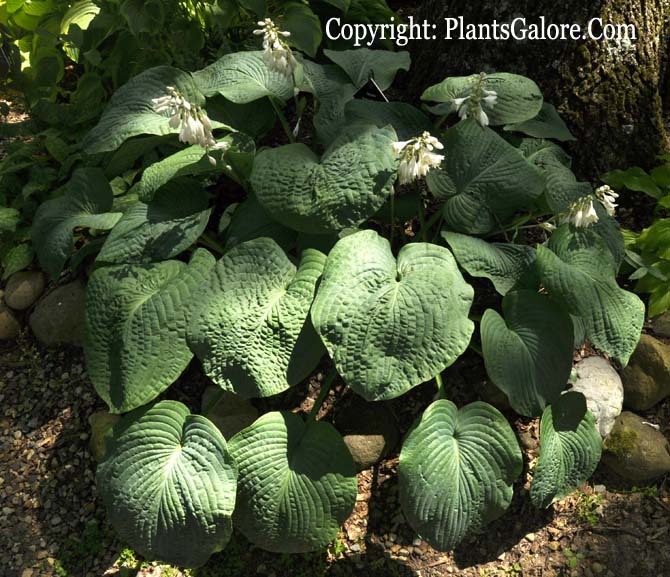 The Hosta Journal (2018 Vol. 49 No. R) states that this cultivar was originally registered as 'Ryans Big One' which was a typographical error that has now been corrected.